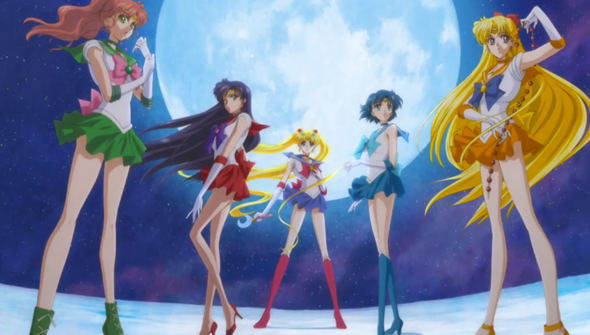 The return of the Sailor Scouts in Sailor Moon Crystal was one of the most eagerly anticipated anime of last year. It would be fair to say that the reception has proved to be quite mixed, and not everybody has been impressed with the revival. It must have been popular enough though, as it's been revealed that a second season is in production and will kick off this summer. Although it hasn't been officially announced in Japan, the news comes from producer Toei's European website- so it's from a pretty reliable source. Unusually, the new series was made not for broadcast on a Japanese TV network, but went straight to streaming. Although this is now quite common practice in the West, Japanese media has apparently been quite slow to embrace the streaming revolution. The new series releases a new episode once every two weeks and was scheduled to run for a year. Presumably, season 2 will pick more or less as soon as the new season finishes up. Sailor Moon Crystal Season 1 is currently streaming in English (in the US) via Hulu and Neon Alley, (in the US, UK and elsewhere) by Crunchyroll. A US Blu-ray and DVD release from Viz Media is also in the works.